I ordered from Uniko and the package arrived last night. I paired a new-to-me stamp – the striped background – with one I’ve had for a bit – the flower image. I first colored the flowers with copics, then stamped the detail images with ink. The flower is fussy cut (either I had it going on last night or it wasn’t as hard as I thought it might be). Love the striped background, a great way to add interest and grounding. 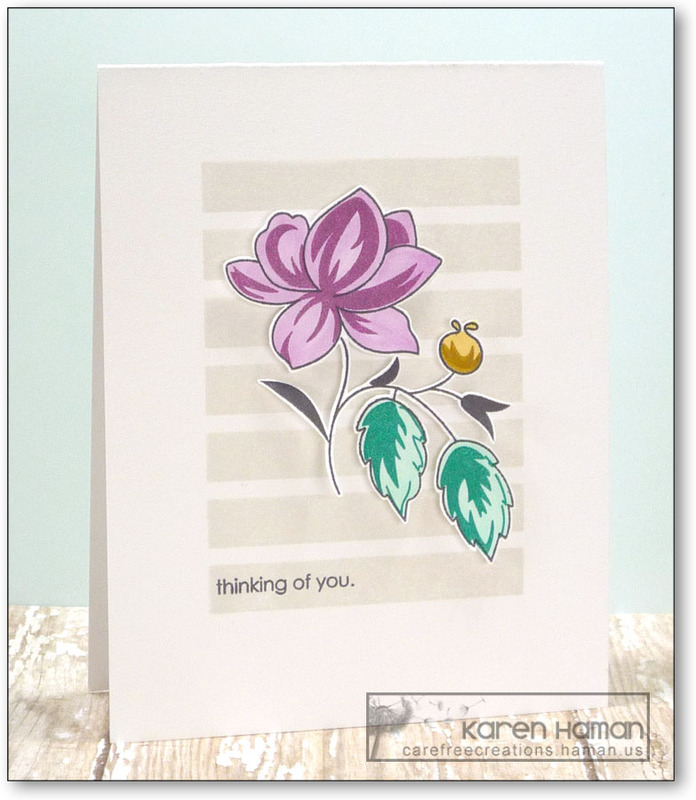 This entry was posted in cards by karen h. Bookmark the permalink.